HELP I ONLY HAVE LIKE 3 WEEKS AHHH! K so. 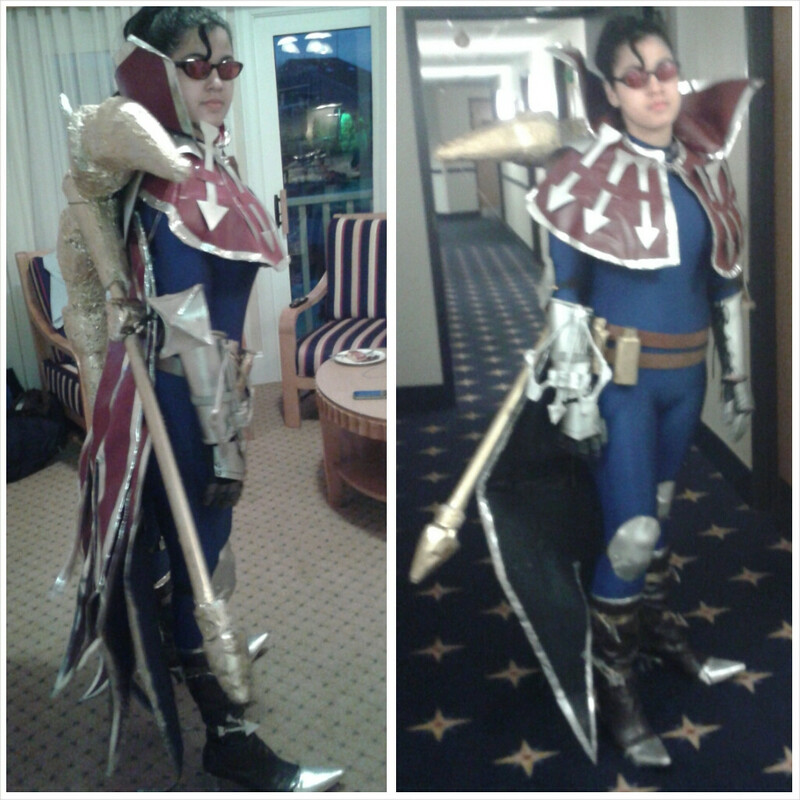 My Vayne cosplay has been... retired for quite some time now. Decided to bring it back! NEWLY IMPROVED! Wonderflex is a cheaper/better option than worbla (it's about half the price and the only difference between it and worbla is that it has a mesh backing which is great because you don't need to do the whole sandwhiching between foam thing, and it's removable). If you're really crunched for time and on a budget, user the thicker foam sheets from your local hobby store, double them up, and cut them into the general shape, and use a dremel and/or soldering iron to give it a little dimension. Then add a few coats of watered down white school glue to seal it and then spray paint it.